Ever wondered who exactly downloaded your software? I don’t mean just “someone from the United States.” I’m talking about getting down to the organization level in terms of “someone from Acme Corp. NY office”. This information is available for any package type for Bintray Premium users, but that’s not all. 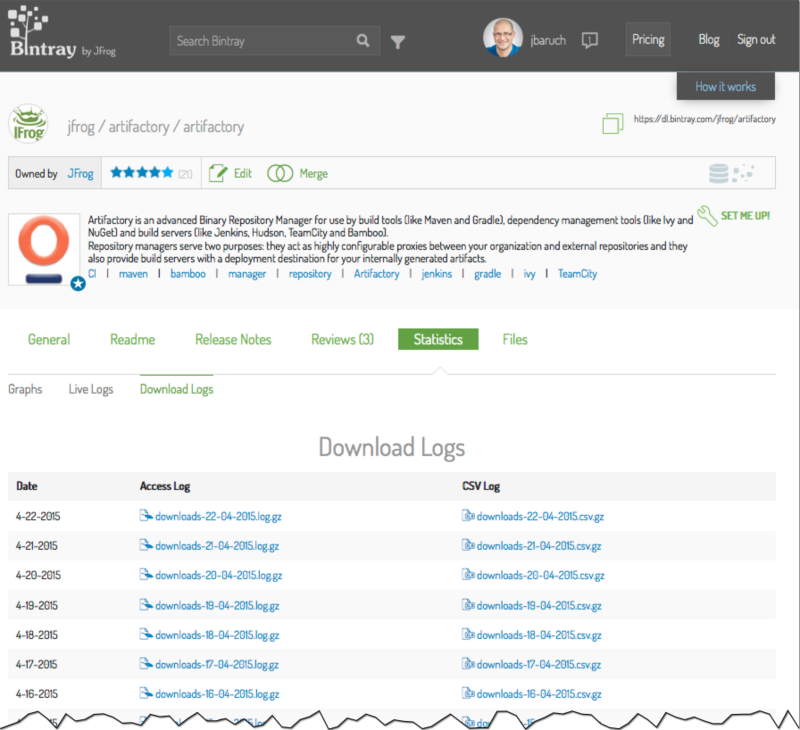 It is also available, for free, for every OSS package in JCenter!!! This means that if you own a package that is linked to JCenter you already have this information available today! Excel jokes aside, that’s the most powerful downloads analytics one can get and it’s there at your fingertips. 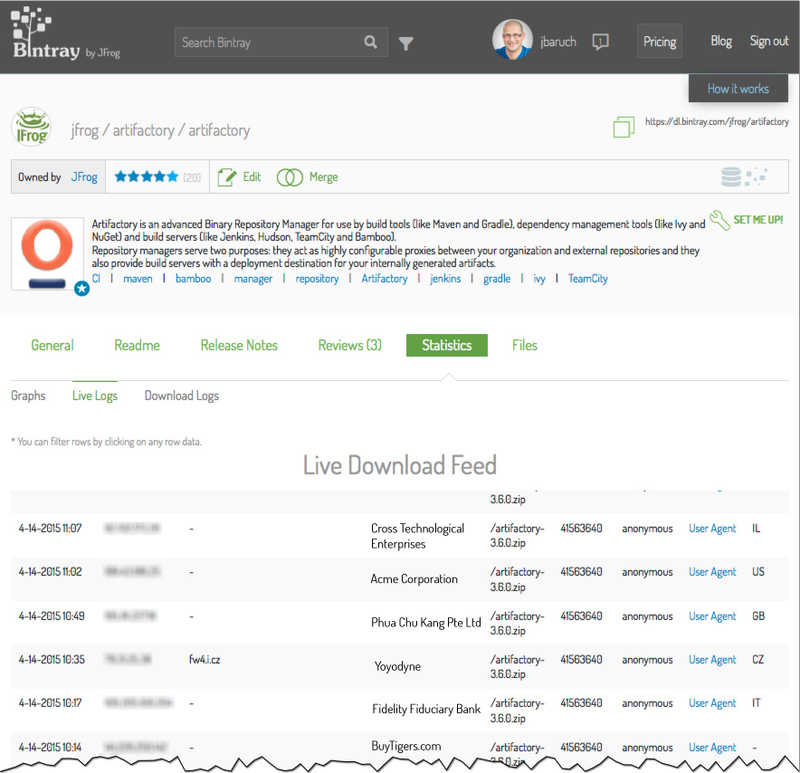 With Live Logs and Download Logs you get much more detail about activity within your repositories. This can be very helpful in analyzing peaks as it provides immediate feedback on the popularity of your software, and how this popularity is distributed by version, geo-location and organization. Naturally, it can also be used to direct you to where you should be focusing your marketing efforts. It’s time to learn about your users!